If you’re a woman who is incredibly active and always on the go, there are some important nutrition tips that you need to keep in mind. Fueling all this extra activity is going to be incredibly important if you want to maintain your lean muscle mass, keep your energy levels up, and see progress improvements. Unfortunately many women athletes aren’t paying enough attention to the foods they’re eating or are on very restrictive diets as they are trying to watch their weight, which only causes them major problems over the long term. 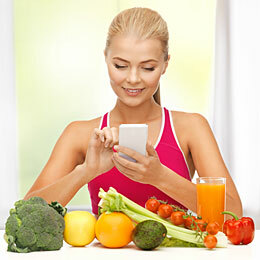 Let’s give you the nutrition tips that you need to know about. First things first, if you’re a woman athlete, one thing that you absolutely must not do is low carb diet. While low carb diets may work well for the majority of the population who’s going to the gym 3 days a week and doing moderate intensity activity, for you doing vigorous activity five or six days a week, you simply need carbs to function. If you aren’t getting sufficient carbohydrates your muscle glycogen levels will start to drop down and sooner or later high levels of fatigue will set in. 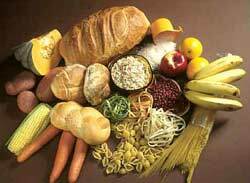 Make sure the carbohydrates that you do consume come from quality sources as well. Just because you’re burning off more calories and get to eat carbs doesn’t mean you get a free pass to eat processed carbs like white bread, bagels, or overly sugary granola bars. Instead, focus on wholesome sources such as oatmeal, brown rice, millet, quinoa, and barley. These are the carbohydrates that will take you through to the end of your workout or training session. 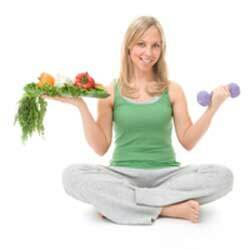 Second, another important consideration for active women is to make use of a quality whey protein powder. Since you are so active your protein needs will also be higher than the average woman’s, and protein is a nutrient most women are notoriously low in. By using a whey protein powder you get a very convenient source of protein and one that’s fast acting so you can get the amino acids into the muscle tissues immediately after a hard workout session. Best of all, with so many different flavors to choose from you should have no problem finding one that you enjoy. Another quick sports nutrition tip is to make sure that you’re timing your calories. While you will still want to watch how many calories you eat so that you don’t actually gain weight, if you can time most of these calories to come right around when you are most active, you can ensure they’re put to good use. Some women tend to have very strange eating patterns where they’ll starve themselves all day and binge-eat at night, and for those doing activity throughout the day, this isn’t going to work so well. Fuel your body when it needs it. Not only will your performance increase, but your chances of adding lean muscle mass and not suffering fat gain will also go up as well. Finally, the last quick tip for women’s nutrition is to make sure you’re getting enough iron. As someone who is highly athlete you don’t want to be falling short in iron or fatigue will be fast to set in, but many women aren’t consuming enough red meat regularly, so they aren’t meeting their daily requirements. Being a woman, your iron requirements are also increased over that of a male since you lose some each month with your cycle. Either get yourself on a good quality iron supplement containing heme iron, as it’s most absorbable, or else aim to eat lean red meat as a protein source at least twice per week. Making the most of these and putting some time and effort into your diet will really pay off in the long run in terms of your body weight goals and your sports performance goals.